Some days I can spend hours in the kitchen and other days I can’t so much as add sugar to my tea. When extreme cooking laziness strikes there is nothing to be done! But I have found a dessert recipe which even that level of laziness can endure. This dessert is perfect for novice chefs, lazy people and for days when its too hot to be in the kitchen. 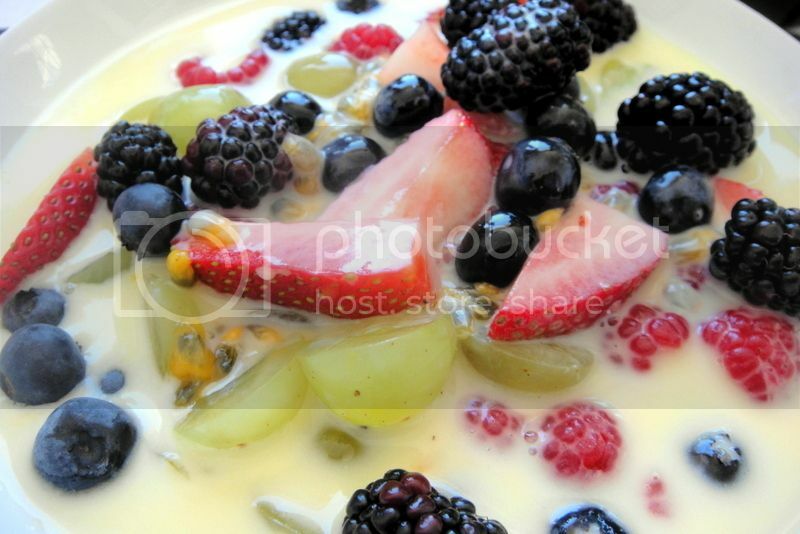 So here you have the easy summer dessert- berries in a warm white chocolate sauce. The best part about this dish- is how easy it is and how beautiful it looks. It sounds like a lot of ingredients- but that doesn’t mean much effort. 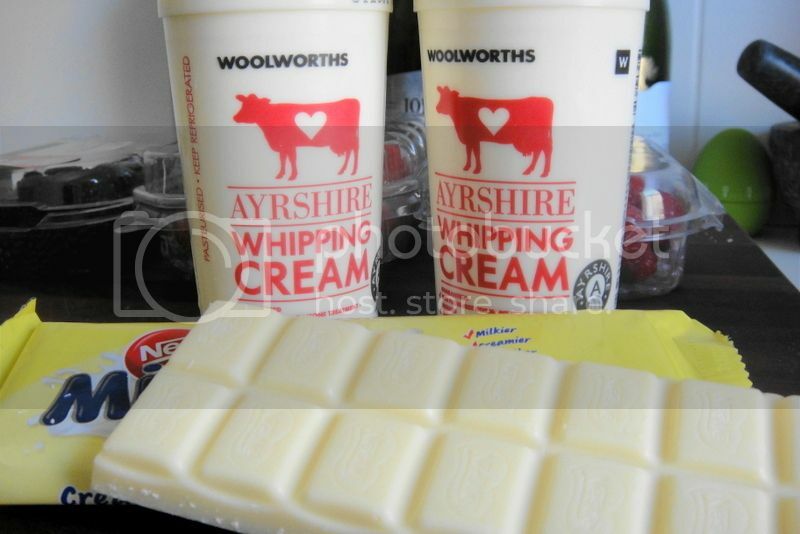 Place your cream and white chocolate into a warm pan to allow the chocolate to melt and mix with the cream. Stir occasionally- make sure not to burn the cream! Whilst your cream and chocolate are melting together deal with your fruit. The raspberries, blueberries and blackberries do not require chopping simply divide them over the bowls. Cut your grapes in half and your strawberries in quarters and then divide those over the bowls. The final touch is to cut open the granadillas and squeeze them over the bowls of fruit. Once your cream and chocolate are properly mixed together thereby creating the white chocolate sauce- pour it equally over the bowls of fruit and serve!